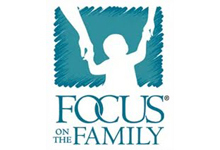 Focus on the Family is a global Christian ministry dedicated to helping families thrive. We provide help and resources for couples to build healthy marriages that reflect God’s design, and for parents to raise their children according to morals and values grounded in biblical principles. No matter who you are, what you’re going through or what challenges your family may be facing, we’re here to help. With practical resources - like our 1-800 Family Help line, counseling and websites – we’re committed to providing trustworthy, biblical guidance and support.